우고 론디노네는 덴마크 코펜하겐 남부 이스회이 (Ishøj)에 위치한 아르켄 현대미술관 (Arken Museum of Modern Art)에서 개인전 《vocabulary of solitude》을 개최한다. 2017년 12월 16일부터 2018년 12월 30일까지 약 1년간 열리는 이번 전시는 우고 론디노네의 잘 알려진 광대 조각 작업으로 구성될 예정이다. 일상에서 흔하게 취하는 45개의 행위들을 마치 초상화처럼 재현하는 45명의 광대들은 각각 숨쉬기, 일어나기, 맛보기, 기억하기, 울기 등등으로 이름 붙여진다. 수동적이고 무기력한 태도로 주어진 행위들을 묘사하는 광대를 통해 내면의 존재론적 성찰을 유도한다. Ugo Rondinone is featured in a solo exhibition titled vocabulary of solitude at Arken Museum of Modern Art in Ishøj near Copenhagen, Denmark. Open for approximately a year from December 16, 2017, to December 30, 2018, this exhibition presents an immersive installation of Ugo Rondinone’s iconic clown sculptures. vocabulary of solitude is a portrait of a single person’s day represented in 45 acts, individually titled in the present tense as be. breathe. wake. taste. remember. cry. etc. 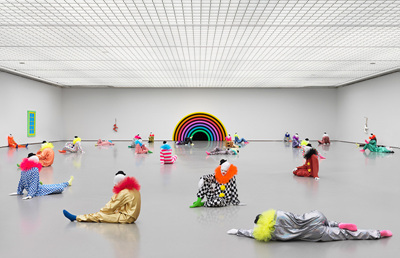 Rondinone’s clowns create passive and torpid depictions of each action, inducing an existential introspection of the inner world. 안규철은 2017년 12월 16일부터 내년 3월 25일까지 고양 아람누리 아람미술관에서 개최되는 《100인의 인터뷰》전에 참가한다. 본 전시는 작품을 보여주는 기존의 미술관 역할에서 벗어나 작가와 예술전문가들, 시민참여자들이 인터뷰를 진행하며 동시대 미술이 무엇이어야 하는지에 대한 답을 함께 찾아내고자 한다. 고령화 사회, 잊혀져가는 역사적 사건과 기억, 사회적 금기, 타인과의 소통 등을 다루는 작가들이 참가하여 예술의 가치를 재발견하면서 동시에 현대미술의 진면목을 볼 수 있는 기회를 제공한다. 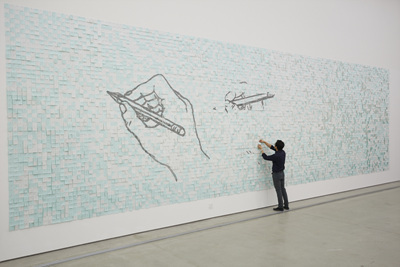 Ahn Kyuchul is featured in a group exhibition titled Interview of One Hundred People at the Goyang Aram Nuri Aram Museum Art Gallery from December 16, 2017, to March 25, 2018. This show departs from the traditional museum exhibition format, vicariously searching for what contemporary art should be through interviews with artists, arts professionals, and citizens. Participating artists engage in issues of an aging society, fading historical events and memories of them, social taboos, and interpersonal communication, rediscovering the value and purpose of art and offering insight into what contemporary art has come to today. 김홍석은 한국국제교류재단에서 경기도미술관, 독일의 쿤스트할레 뮌스터와의 협력으로 개최되는 한·독교류전 《아이러니 & 아이디얼리즘》에 참가한다. 세계적으로 활발하게 활동하고 있는 한국 및 독일 작가 8인과 함께 현대미술의 동향을 선보이는 전시로, 현대미술을 통한 문화교류를 실현하고자 기획되었다. 한국에서는 김홍석, 남화연, 배영환, 안지산이 참가하며, 독일 작가로는 마이클 반 오펜, 만프레드 퍼니스, 비욘 달렘, 윤종숙 작가가 참여해 영상, 설치, 조각, 회화 작품을 소개할 예정이다. 1990년대부터 비디오, 조각, 회화, 퍼포먼스, 설치작업을 아우르며 전방위적 활동을 펼쳐온 김홍석은 이번 전시에서 그간의 '노동' 연작에 이은 설치와 영상 작업을 선보이며 현대미술의 아이러니를 가시화 한다. 작가를 중심으로한 작품의 제작 과정과 이를 유통하는 소비구조, 나아가 그 결과물을 작품으로 만나는 관람자의 인식에 이르기까지 작가 특유의 날카로운 예술적 해석을 접할 수 있는 기회를 제공한다. 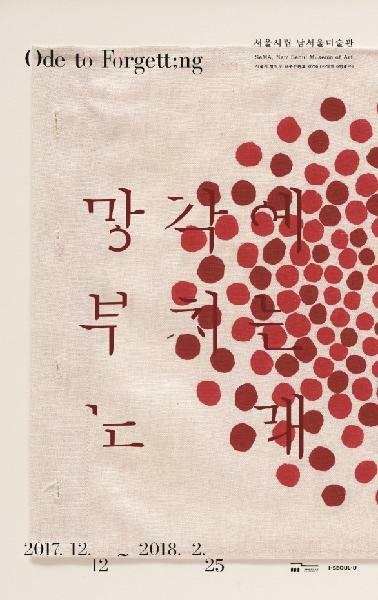 Gimhongsok is featured in a cultural exchange exhibition titled Irony & Idealism at the KF Gallery in Seoul, co-organized by the Gyeonggi Museum of Modern Art, the Kunsthalle Münster, and the Korea Foundation of Modern Art. This exhibition demonstrates how cultural exchange can be achieved with contemporary art and aims to delineate contemporary art today by showcasing works by eight Korean and German artists who are active in the international art scene. 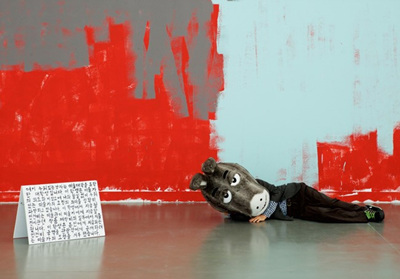 Korean artists Gimhongsok, Hwayeon Nam, Bae Young-whan, and Jisan Ahn, along with German artists Michael van Ofen, Manfred Pernice, Björn Dahlem, and Yoon Jongsuk, will showcase a diverse range of works including video, installation, sculpture, and paintings. Gimhongsok, whose practice encompasses video, sculpture, paintings, performance, and installation since the 1990s, is currently exhibiting an installation and video works that derive from the artist's ongoing 'labor' series, envisaging the irony that remains inherent in contemporary art. The works on display offer insight into the artist's acute interpretation of the artist's role in producing a work and distributing it for a consumer network, to the perception of the audience who come to face the final product. 국제갤러리의 김소라, 김환기, 노충현, 루이즈 부르주아의 작품이 서울시립 남서울미술관에서 12월 12일부터 내년 2월 25일까지 열리는 소장품전 《망각에 부치는 노래》에 출품된다. 전시 제목은 루이즈 부르주아의 삽화집 <Ode à l'Oubli>를 인용한 것으로, 서울시립미술관이 수집한 소장품 중에서 잊어지는 과정, 문득 떠올리는 기억, 잊는 행위 등을 재해석하고 담은 다양한 작가들의 작품 28점이 소개된다. Works by Sora Kim, Kim Whanki, Choong-Hyun Roh, and Louise Bourgeois are featured in a group exhibition titled Ode to Forgetting at SeMA, Nam-Seoul Museum of Art in Korea from December 12, 2017, to February 25, 2018. Inspired by the title of Louise Bourgeois’s illustrated book Ode à l'Oubli, Ode to Forgetting presents 28 works housed in the SeMA collection which reinterpret the process of being forgotten, the memories that unexpectedly come to mind, and the act of forgetting.